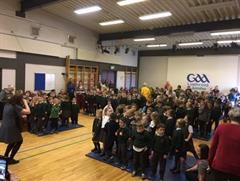 Cuireann Bunscoil Phobal Feirste treoir reatha na Roinne i bhfeidhm i dtaca le tacaíocht foghlama breise. Tá ról cinnte ag an SENCO agus tá sí eolach ar na straitéisí agus na hacmhainní atá de dhíth le cinntiú go bhfuil na daltaí a bhfuil an tacaíocht uathu aitheanta agus go bhfuil pleananna ann de réir. 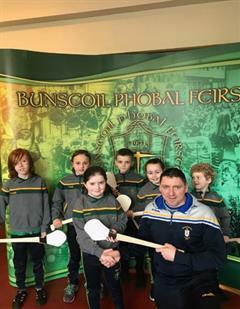 Sa ról seo déanann sí teagmháil leis na comhordaitheoirí, múinteoirí ranga, cúntóirí ranga agus na gníomhaireachtaí seachtracha ar nós Oakwood, Harberton, St Gerards agus eile le cinntiú go bhfuil cur chuige comhoibríoch i gceist. 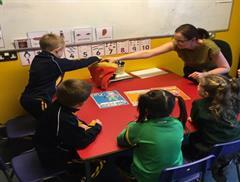 Bunscoil Phobal Feirste implements current Department of Education guidance on additional learning support. The SENCO has a clearly defined role and is familiar with the strategies and resources needed to help ensure that all pupils who need additional support are recognised and have plans put in place to meet their needs. 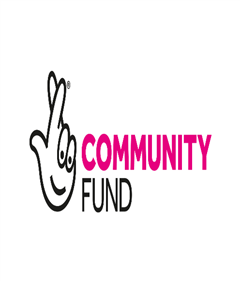 Within this role, she liaises with coordinators, class teachers and classroom assistants as well as external agencies such as Oakwood, Harberton, St Gerards and others to help ensure that a collaborative approach is provided. Teachers identify and implement appropriate strategies to support all children in their classes and liaise with the SENCO to devise education plans for all pupils registered on the school’s special educational needs register. These plans are also used to enable liaison with parents. Parents are involved at every stage of the five stage approach to the management of and provision for special educational needs in Bunscoil Phobal Feirste. Robust assessment systems and data within the school, help ensure that the staff are very well informed about the learning needs of our children and the school is able to identify early those children requiring additional support and endeavours to provide appropriate strategies in class.This is aimed at ensuring that all staff who are working with SEN pupils are fully aware of the pupils needs and how best they can be addressed in order to ensure that the needs for all of our pupils, special, additional or other educational needs are effectively met and sustained through a totally inclusive culture among all within Bunscoil Phobal Feirste and Naíscoil Bhreandáin. Pupils are registered on the school’s special educational needs register at different stages of the Code of Practice (DENI, 1998) and may be referred to the school’s educational psychologist for statutory assessment. 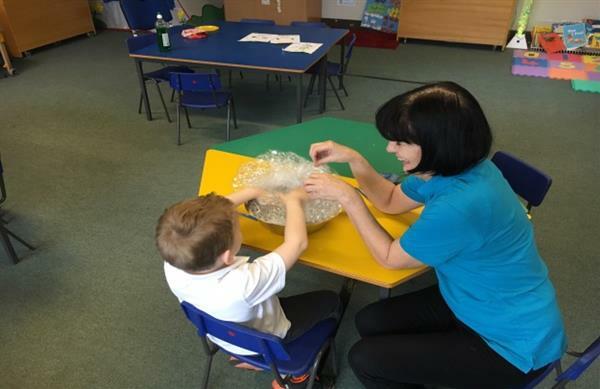 Each case is reviewed and monitored on an individual basis and a partnership model is used to ensure that teachers, parents, SENCOs, outside agencies and of course the children themselves are as informed and pro-active as possible with regards to the identification and assessment of special educational needs. Regular meetings with Parents and Carers.